Why Does My Network Not Work After Resuming from Standby? - Ask Leo! Network failures after standby remain common, particularly in older machines. There are a couple of things to try. I have a Dell running Windows. When I put my computer in standby or sleep, or if it has been inactive for several hours, when I resume use I find I cannot connect to the internet — or the browser says “website cannot be found” like it’s not connected. I use DSL and the connection works fine on my other computer with no problems. I restart, the problem goes away for a short time — until it is inactive again. What gives? I have two hard drives on this computer. My other drive never has this problem. I have even deleted, reformatted and reinstalled Windows and the problem is still there. This is an update of an article originally published nearly twelve years ago. One would hope things have improved since then. While I suppose they have to some degree, a dozen years later, this scenario remains fairly common. What you’re seeing is simply a lost network connection. As you say, the computer cannot connect to the internet — at all — so web pages can’t be retrieved; the browser error is the result. If you have other machines or networked printers on your local network, this machine probably can’t connect to them either, at least not until you reboot. The issue here is power management. When you put a computer into standby, software is not unloaded, but left in RAM memory. Most hardware, other than RAM, is turned off to conserve power. When you resume from standby, the hardware is turned back on, and then needs to not only be re-initialized, but restored to the exact same state it was in before standby. That’s when things can get confused. As I said, there are two common causes. Your computer’s BIOS — or UEFI, in more modern machines — is the software “built in” to your computer’s hardware. It acts as an interface between Windows and that hardware. It also plays an important role in power management. Problems with standby were very common in older laptops as the BIOS on many computers didn’t handle every standby scenario properly. Your first step should be to check with your computer’s manufacturer — Dell, in your case — for an updated BIOS or UEFI for your machine. Installation is typically a download which you then run, or copy to something you then boot from. Waking up from standby requires each piece of hardware to re-initialize, and that’s in part the job of the drivers for that hardware. Drivers are software installed in Windows itself that act as the interface between Windows and the hardware, often managing communication between Windows and corresponding BIOS/UEFI components. You didn’t mention what kind of network interface you’re using, but if its drivers don’t handle the resume state properly, the result could be a dropped or stuck network connection. This is most common with wireless connections. Your next step would be to check for updated drivers for your network interface. Once again, I would locate any updates on your computer manufacturer’s site. Finally — and this is something you should be making sure of for many reasons — make sure Windows Update is enabled and your machine is fully up-to-date. Not only are updated drivers often provided by Windows Update, but in rare circumstances, the issue may be a problem with Windows itself. Do I Need to Update My BIOS Regularly? - Your system BIOS is software, but updating it regularly may not be appropriate. Updating it to fix a bug, of course, would be. « Previous post: How Do I Get Rid of All this Spam?!?! I had this problem all the time on both my computers. I was using Norton systemworks, so I installed registry mechanic, and the same thing happened. I uninstalled completely all traces of both programs, and downloaded AVG free edition anti-virus, have had absolutely no problems since. Don’t know what anti-virus you are using, but this might help. One computer has windows XP home, and the other it the pro version. Good luck. I agree that your problem is caused by either BIOS or driver settings. However I daubt that updating these will solve your problem. As is normally the case the “updater” will simply copy your previous settings. I would advise you to look at your driver/BIOS settings. Don’t be afraid because if you mess something up just undo it later. A wrong network / power management setting can’t just wipe your HD clean ;-). You might even learn something in the process other then with a wishfull update. BIOS: press delete(default) button before windows loads and go to the power management section where you will find all sorts of interesting options. unchecking “turn this device of to save power” in driver settings normally does the trick. 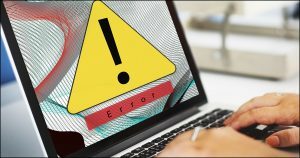 If you cannot connect to the internet after resuming from stand-by or hibernate mode, and you use Zone Labs security software, then that is the culprit. Just ask them; they’ll tell you. Or uninstall your Zone Lab software, and see if the problem vanishes. I don’t recall if other steps were required to reestablish the connection, but my “Local Area Connection” is now on “LAN or High-Speed Internet.” This seemed to fix the problem of no network connection after waking up from sleep mode. I’m not sure why my Local Area Connection was in the “Network Bridge.” My PC came that way from the local shop that custom built it for me. I have a wired LAN connection to a router to a cable modem. I fixed the same problem with my Windows MCE HTPC by checkmarking everything but the last box in the Power Management settings of my NIC card. This allowed Windows to turn the NIC on or off and I guess initialise it in the process. I had the same problem on my Gateway laptop. Status bar indicators showed that I was connected but sites would not load. After disabling my ethernet connection the wireless worked again for me as well. Good tip Andres! I spent 25 min on the phone with gateway support for them to tell me they would charge me $109 to fix this problem which I solved by disabling my ethernet connection as recommended by an above poster. Thank you all very much for saving me money and a little bit of dignity. I discovered that this issue was caused by a windows update that changed my internet settings after the 1rst of the year. It happens to my machines very rarely now with Windows 10, like maybe, it’s never happened. The times it happened before, turning the network adapter off, waiting 10 seconds, and turning it on again worked. Lately this happens to me quite often (Win 10). It can take around 1 min for the connection to be automatically re-established after sleep/hibernation or I can manually disconnect and reconnect. btw my drivers are up to date and I checked the network adapter’s power mgmt settings (like mentioned in the older comments) and they have not been messed up by a recent update but clearly something else has. I find that this is a problem on only one of my Dell laptops and only at the cottage. The problem machine is the Dell Latitude E6520 running Windows 7 Pro. The “good” machine is a Dell Inspiron 5759 running Windows 10 Home. I have disabled “turn this device off to save power” but it makes no difference. I discovered that when it comes out of sleep mode the wifi is frequently disabled. As such I wrote a script that sits in the background and re-enables the device if it goes to disabled. This also has made no difference (other than resetting from disabled). I use a LinkSys router at home (where I have no problem) and a D-Link router at the cottage, however I don’t think this is the cause of the problem because the problem persists even when I connect directly to my Roger’s Rocket Hub. I only use the D-Link because the range of the Rocket Hub is so pathetic. I use Microsoft Security Essentials on both machines. In recent Dell machines, Dell has put in additional power management software on top of what’s provided by Windows. The result is a mess. One of my first tasks on a new computer is to turn off any and all power management, sleep, hibernate feature that I can find. I couldn’t tell you where to go to do that because, like I said, it’s a mess. I hack at it until I find all the settings across Dell and Windows. Dell also installs LOTS of crapware on its computers to “improve your experience”. These have many processes and services that run to do whatever to “optimize” your machine. They go by names such as Dell Foundation Services, UpService, Digital Delivery, Update Service, etc. These may be changing your settings or getting in the way. So, another new computer task is to find and kill all this garbage, but getting rid of Dell processes permanently isn’t easy. Now that I have an SSD, I have my backup program shutdown the computer after my nightly backup. It turns on in about five seconds. Faster than my previous machine did from standby. Could this be at all related to my Dell E5420 refusing to completely come back from sleep or hibernate? It usually hangs just after the screen goes black and very rarely after I get the LOGIN prompt.